RUSH ORDER Processing. Puts your order in the front of the processing line. 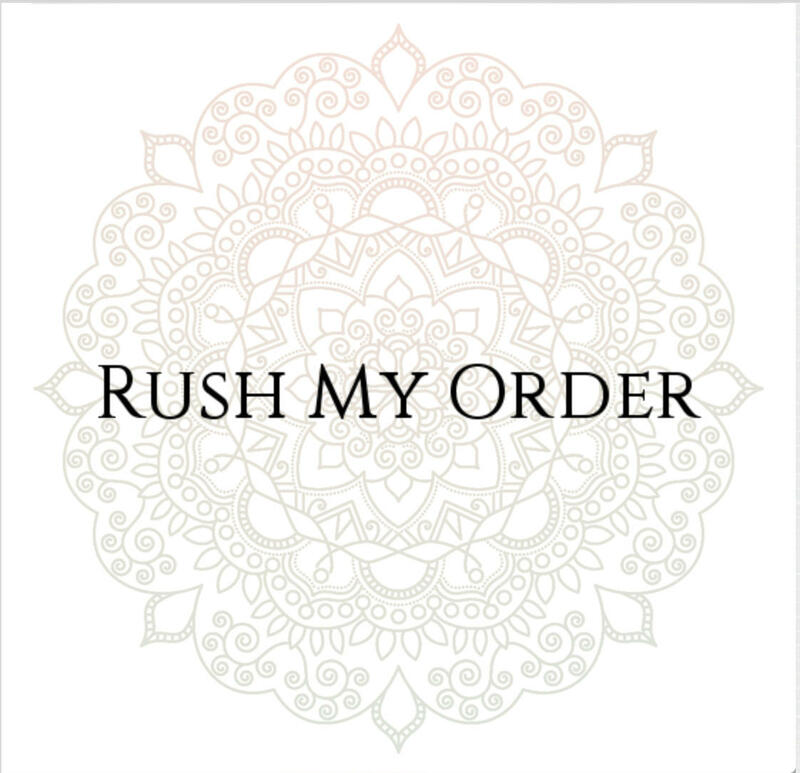 This listing will move your order to the NEXT to be processed and shipped, in line with any other rush orders we have. 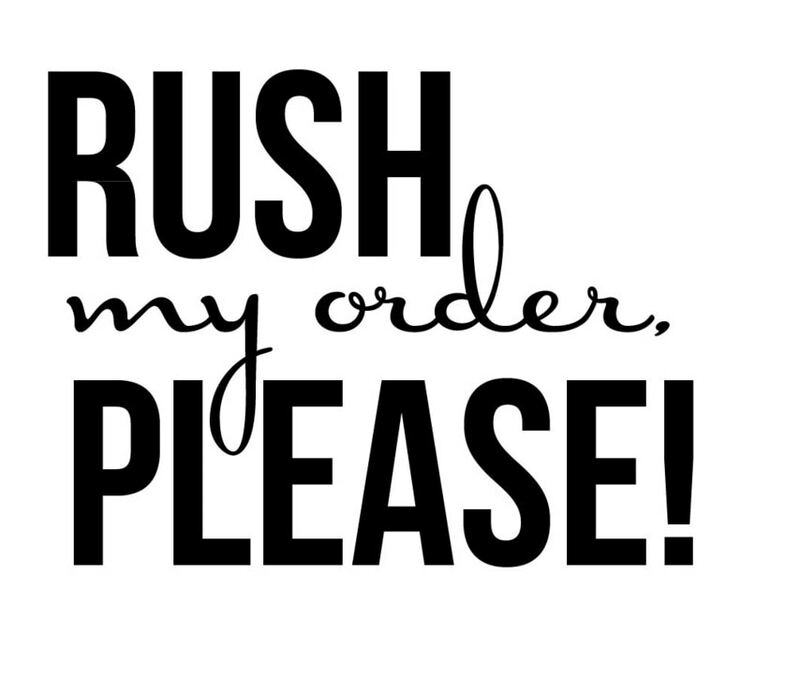 Your order will now take priority over any other regular orders that we have, but in line with any other "Rushed" purchases. This is an add on listing to any physical item we have in our shop. Purchasing this listing is in no way a guarantee of delivery by a specific date or holiday. If timeline is of specific importance please be sure to contact us prior to purchase. At any time we have from zero to 30 "Rush" orders. No refunds will be given after you purchase this listing. Please contact the shop prior to checkout should you have any questions. Please be aware if you are purchasing multiple items you need to purchase a "Rush" option for each item. Also please note that we cannot be held responsible for any and all delays caused by the USPS, UPS, FexEx, or any other package handling/delivery service. The rush order option is definitely worth the money. I was amazed how fast Stacey & her team got my blanket made & out the door on its way to me. We have 3 blankets from Namaste in our family now. The oldest is 3 years old & it's in great shape. My 19 year old uses it every night & has brought it with her to college, friends' houses, vacation, etc. It has lasted better than a blanket from an OT company that my 19 year old had previously. It's just flannel on both sides & at first I wondered how it would hold up. Three years later, it's still doing fine - stitching & fabric are both solid & have lots of life left. This is a wonderful company with excellent products. And Stacey answers messages very quickly. You can definitely trust Namaste Hand Made. Well worth it. The blanket made it before my son's birthday! Thank you! I had my order delivered 8 days after ordering it! This blanket has become my most treasured possession. It is beautiful, exquisitely-crafted, and has brought me immeasurable comfort. I am so grateful to this seller for her commitment and skill, and will definitely purchase from her again.